Are you struggling to get out of bed during cold mornings? Imagine what it’s like for your car which has been left outside all night! It’s difficult to find anybody who enjoys, not only getting out of bed in the morning but getting out of bed on a cold morning. Sure, some coffee and a shower help, but these aren’t going to benefit your car which has been standing out all night and morning. 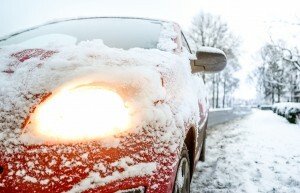 If your car struggles to start during cold weather, below is a post from Progressive Products to help you understand why and how you can fix it. The first place to start is with a brief understanding of what’s going on inside your engine each time you start it up. With the goal of keeping itself running and you moving, your engine includes a large number of metal parts, each varying in size and function. For your engine to keep running, these parts need to constantly grind, bump, and slide up against each other at high speed and under high levels of pressure. Each time that you start your car, all of these parts are called into action and immediately start to work. If you can remember your science lessons then you will know that these actions, metal grinding against metal, will result in a large amount of friction, which works against each part and cause serious engine damage. The only defense your engine has against this friction is your engine oil. When poured into your engine, engine oil makes its way through and around each of these parts, finding the smallest and most intricate of spaces inside your engine. Once in place, it forms a protective coating around your engine parts. This thin coating prevents friction by allowing each of your engine parts to interact smoothly with one another. Click here to buy Signature Series 0W-40 Synthetic Motor Oil and keep your engine running smoothly. To find out more about Signature Series 0W-40 Synthetic Motor Oil and how a synthetic oil change in Shoreline, WA can improve your cold morning starts, speak with an expert at Progressive Products by calling (425) 483-2582 or check out the online store. Now that you have a basic understanding of your engine and the function of motor oil, it’s time to move to the task which every motorist was taught to do - warming up your car before you drive. If you are using conventional oil or your oil is coming to end of its life, as the temperatures dip, your oil will begin to retract away from its once thorough coverage and start to clump up around your engine and its parts. This leaves many of your engine parts unprotected and susceptible to causing, and being damaged by, friction. When you let your car warm up, it gives this oil time to heat up and return to a thin consistency where it can once again begin to do its job. In reality, the act of warming up your car is actually the act of warming up your engine oil. So My Engine Is Unprotected While the Oil Warms Up? Correct. And the lower quality or older your engine oil, the longer it takes to warm up, which means the longer your engine is running while unprotected. This can lead to two major problems: Excessive engine wear Without protection, each time that the metal parts inside your engine clash against each other, they chip small pieces away from one another. This happens so slowly that you won't likely notice it at the start, but after a short while, this will cause these parts to stop working, resulting in the need to visit your mechanic to replace parts caused by the all-too-familiar ‘engine wear’. Lower performance and even more damage Before these parts eventually break down and are replaced, however, there are more impacts. The small shards of metal which are chipped away don’t magically dissolve. Instead, they travel through your engine as part of your engine oil’s movement, scraping against the walls of your engine and its parts, along with getting stuck in between moving parts. Not only does this cause secondary damage, but it can lead to a serious reduction in the performance of your vehicle as they prevent your engine parts from operating correctly. The easiest way to prevent against the damage and underperformance mentioned above is to replace your conventional or aged oil with a high-quality alternative. A synthetic oil change with a high-quality synthetic oil product is not only an aspect of engine maintenance which any motorist can do in their own driveway, but can have significant positive impacts to your engine health and performance. To learn more about the benefits of a synthetic oil change in Shoreline, WA, speak with a friendly professional at Progressive Products by calling (425) 483-2582. Experts on keeping your engine operating at peak performance for longer, trust in their advice to give you the right advice and to help you find the right product for your vehicle.